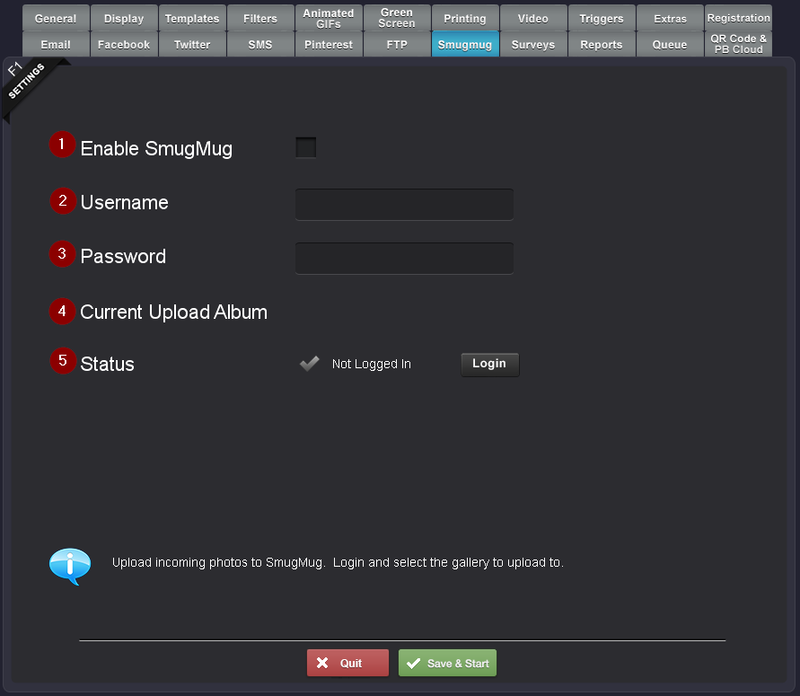 Click to enable uploading of all photos to a Smugmug gallery in the background. The currently selected upload album. The Smugmug login status Login to select the Smugmug gallery to upload to. This gallery must be created on Smugmug's website first.